Winter steelhead anglers know that as the winter wanes to warmer days this is the time wild steelhead enter our rivers. It is these large fish with their aerobatic jumps, long runs, and deep diving tugs that we hope to hook into. But it is this same fight that can cause mortality in the very fish we respect enough to release back into the river. There are a few things we as anglers can do to help keep the mortality rate down and allow for a safe release of the wild steelhead. 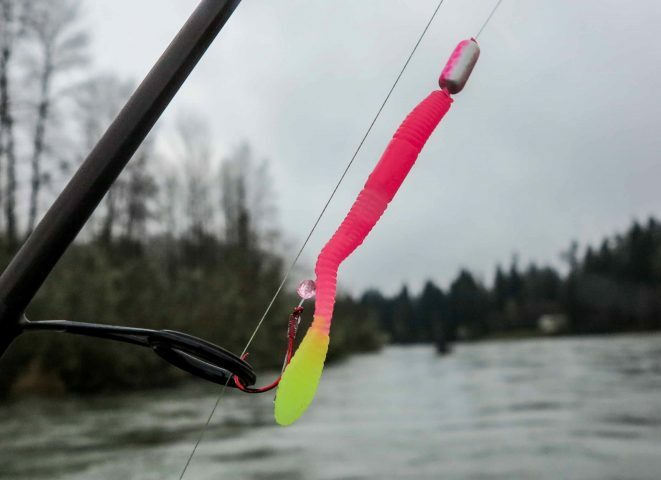 When the weather warms it is best to put the limber “noodle” rods and long drift fishing rods back onto the rod rack and grab a heavier rod that has been stowed since the end of salmon season. By using a heavier rated rod, you can hold the fish easier and keep the runs shorter. 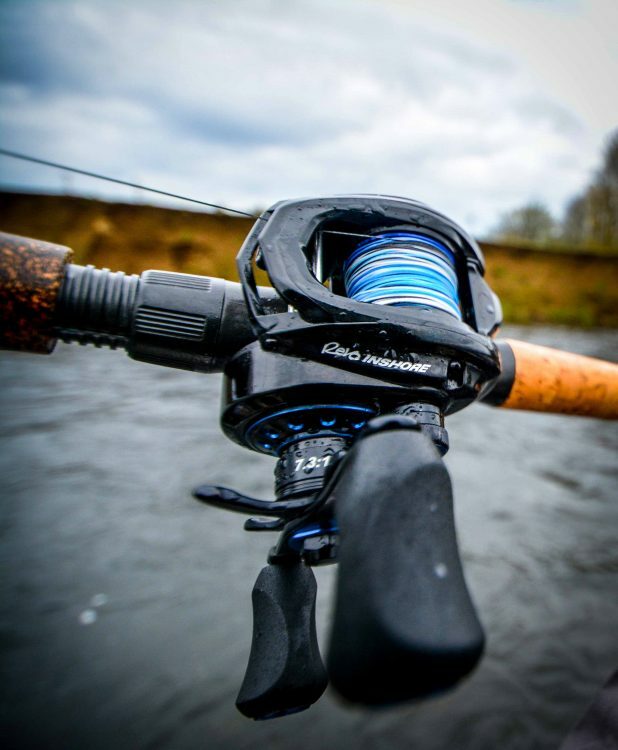 Pair the rod with a larger spinning reel or make the switch to a level wind as they have a stronger drag system. Line too can be upsized, though some anglers worry of clear water, but springtime runoff usually makes visibility low enough that you can use 20-pound mainline without concern. If the water is clear then switch to some of the newer fluorocarbon lines or a clear monofilament. Even hooks can go up a size or two with a 1/0 replacing the 1s and 2s as the larger hook is less likely to be swallowed and it is easier to grab and remove. The idea is to keep the “encounter” with the fish-from the time it bites until it is released-as short a period as possible. If you use light gear it is likely the fish will be exhausted at the end of the fight and this leads to a higher mortality. Tired steelhead can’t recover and are often easily targeted by predators. Upsizing your gear allows you to fight the fish and bring it to hand and release it while it is still full of energy and can recover quickly.